A woman charged with DUI manslaughter in the death of a Delray Beach police officer in Key West has been sentenced to 10 years in prison. 33-year-old Lacy Morris accepted the negotiated plea in a Monroe County courtroom. KEY WEST, Fla. — A woman charged with DUI manslaughter in the death of a Delray Beach police officer in Key West has been sentenced to 10 years in prison. Lacy Morris, 33, accepted the negotiated plea in a Key West courtroom. Prosecutors said Morris was under the influence when she hit and killed Delray Beach police officer Christine Braswell and injured officer Bernenda Marc on April 8, 2017. Braswell and Marc were on vacation and riding a scooter at the time of the crash. 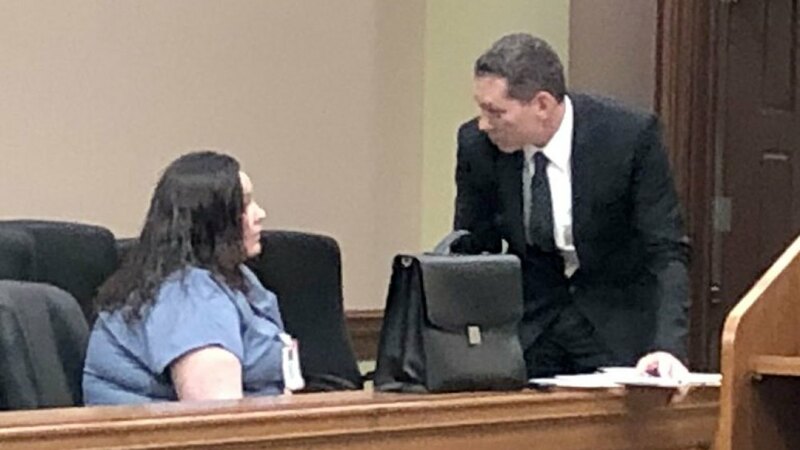 Shackled and in a blue jump suit, Lacy Morris listened to those close to Christine Braswell, one by one during victim impact statements. “You!” Dan Braswell, Christine’s dad said pointing at her, “you’ve lost your freedom for a number of years." Braswell was the only female sniper in Palm Beach County and Marc’s mentor. “I hope Christine’s memory impacts your life,” Marc said to Morris. They were riding a scooter when Key West police say a drunk Lacy Morris turned in front of them, causing a crash. There was also a joint with DNA from Morris inside the car she was driving. Her BAC was .17. “You could have avoided this by calling a cab or a friend. But on April 8th, you chose differently,” Marc said. “I pray for her. I hope that she’s able to turn herself around,” Barbara said later in an interview. Morris apologized before the court. She was then fingerprinted and taken away. “Hating someone is like swallowing poison. It doesn’t help you,” Barbara said. “At the end of the day, yes, she could have avoided this situation. Holding it in my heart and continuing to hate is not going to solve anything,” Marc said. Marc and the Braswell’s also used their time at the podium to stress how important it is to not drink and drive and find a safe way home. Surviving Officer Bernenda Marc addressing court, specifically Morris. Braswell's mother filed a wrongful death lawsuit against Morris last year, seeking damages in excess of $15,000. Lacy Morris was sentenced to 10 years in prison, two years of community control and one year of probation, as well as various fines, DUI school and community service hours. She will permanently lose her driver license.